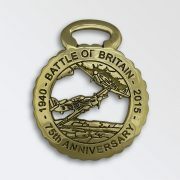 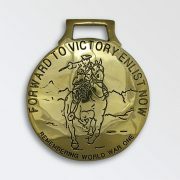 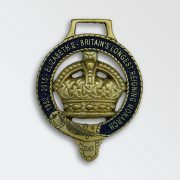 Limited edition commemorative horse brasses. 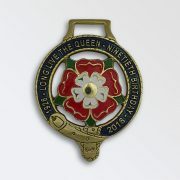 Individually numbered on the back, hand painted. 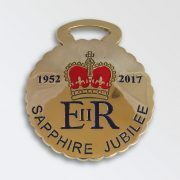 These brasses are all modern designs, cast and finished to our excellent KB standard. 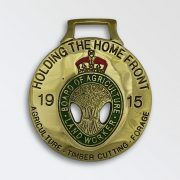 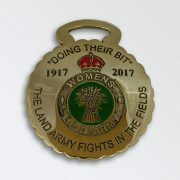 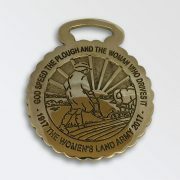 Based on The Board of Agriculture Land Worker badge, 2 years before the Woman’s Land Army first formed, this was a call to people who could come and help on the land in Agriculture, Timber Cutting and Foraging. 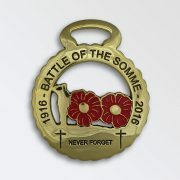 Commemorating 100 years since the Battle of The Somme. 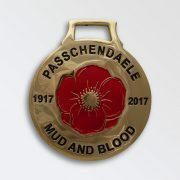 1916 to 2016 Two painted Poppies and a Saluting Soldier.